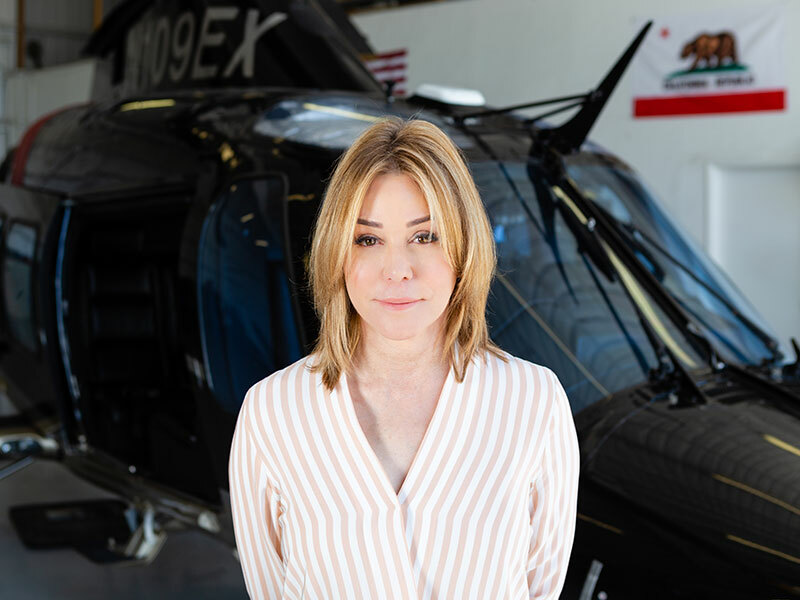 Katheryn Purwin, Helinet Aviation’s CEO was featured in the latest Sunday edition of the Los Angeles Times business section. With an aviation company that continues to grow, from its VIP charter fleet, ENG offerings, air medical, and aerial production services, Helinet Aviation continues to be the only helicopter company in Los Angeles to offer such diverse services. In this article, Kathryn Purwin discusses “[flying] above the glass ceiling” as being one of the few women CEOs in Aviation and how there’s no reason for women not to excel in this industry. “Try it. Don’t think, ‘It’s going to be hard.’ There’s no reason a woman can’t do it if a man can.” – Kathryn Purwin, CEO Helinet Aviation.